Russian Helicopters has signed a contract with local lessor Avia Capital Services for the delivery of 10 Ansat light twin rotorcraft. Andrey Boginsky, chief executive of Russian Helicopters, says a special corporate configuration for the passenger cabin has been agreed with the customer, which expects to operate the aircraft in the Moscow region. This is the first major contract for the corporate version of the helicopter. Until now, the type has been mostly delivered to air ambulance services (medevac) specialists. 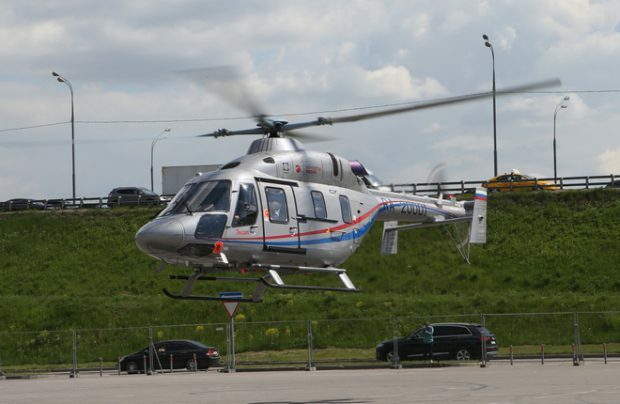 A single VIP-configured Ansat is already operated by Moscow-based Russian Helicopter Systems. Avia Capital Services (ACS) and Russian Helicopters are both subsidiaries of Rostec Corporation. In the past ACS has delivered two AgustaWestland AW139 helicopters to the Russian government air squadron. The leasing company also has orders for Irkut MC-21 and Boeing 737NG airliners in its portfolio. Rostec (Russian Technologies State Corporation Company) is a Russian state corporation established in late 2007 to consolidate strategically important companies, it brings together more than 700 entities which form 15 holding companies. Avia Capital Services LLC is an aircraft leasing company established in 2011 with 100 percent participation of the Rostec.